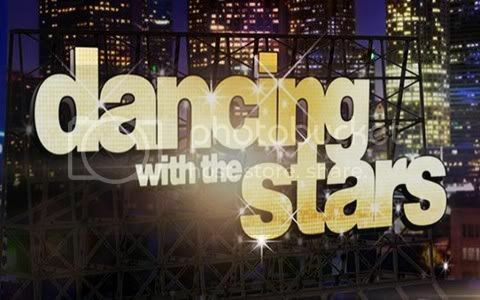 Quick Take: Dancing With the Stars 14, "Week 3"
Review: Dancing With the Stars 14, "Week 3"
(S1403) I believe all of the judges must have taken happy pills before the dancing began on Monday night or maybe they were just being lenient as the theme of this week was, "The Most Memorable Year of Your Life," as no one received a score less than an eight. By the end of the night there were three clear frontrunners and five teams tied for sixth place with a score of twenty-four, definitely not bad for the third week of competition. Earning the first tens of the season Katherine and Mark were near perfection dancing the waltz to Josh Groban's "To Where You Are" in dedication to Katherine's father who died of lung cancer. I personally don't care for the waltz because I find it boring and slow but I must say they definitely breathed new life into this style of dance. All three judges were full of praise. Carrie Ann thought it was magical, Bruno only had one word - sensational and while Len thought it was full of grace and elegance he would have liked to see more ballroom holds, which is probably why he was the only judge who did not give them a ten, but, a nine. Right on Katherine and Mark's dancing heels are William and Cheryl who earned a twenty-eight for their high energy salsa to Celia Cruz's "La Vida Es Un Carnaval" which reflects William's most memorable year of 1995 when he came to the United States from Cuba. And while they did have a mishap in their dance, Len still claimed that William conquered the salsa. Bruno thought the dance was amazing doling out another ten. Rounding out the top three are Maria and Derek who danced the rumba to a slowed down version of "Material Girl" from Madonna. I thought the dance was great, but, I just had a hard time listening to this version of "Material Girl." Having heard it for so many years as an upbeat tune it was an adjustment to the ears to hear it slow. Bruno felt the dance and was thoroughly impressed since the song had no defined rhythm just a melodic line that Maria was able to dance to. Overall the judges were in agreement, each scoring them with a nine. After such a well scoring night it's anyone's guess who will be the second star to leave the dance floor.